Fees associated with filing patent applications in Moldova as well as other patent fees are available in the fee calculator. A patent application claiming conventional priority in Moldova should be filed within 12 months from the priority date. The term may be restored within two months if the applicant fails to file the application in spite of due care or if the failure to file was unintentional. A patent application in Moldova should be filed in the Romanian language. If the application is filed in any other foreign language, the applicant must provide the Romanian translation within three months from the date of filing. A certified copy of the priority application along with its Romanian translation should be provided to the Moldovan Patent Office within 3 months from the filing date. The substantive examination should be requested and corresponding official fee should be paid within 30 months from the filing date. Grant fees are to be paid within six months from publication of the decision to grant a patent. The first maintenance fees for the 1st year till the year when a decision is granted are paid simultaneously with the official grant fees. Further annual maintenance fees should be paid before the beginning of the next year. Late payment is possible within six months from the deadline expiration provided that a surcharge is paid. For foreigners, it is obligatory to perform patent prosecution in Moldova through an agent, a registered Moldovan patent attorney. 2. 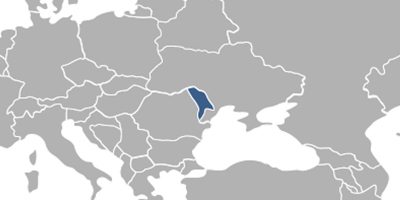 As of November 1, 2015, it is possible to validate European patents in Moldova. 3. Registration of inventions as utility models is not possible in Moldova.Meanwhile, there is a short-term patent for invention which is similar to utility model. The term of validity of the short-term patent in Moldova is 6 years counting from the filing date. This term may be extended by 4 additional years provided that the substantive examination is requested. If no substantive examination is requested, the patent expires after the 6-year term.